Auditor Exodus: When the Regulator Does Its Job, It Cleans the System! Even as investment experts are busy totting up the number of auditors that have resigned this financial year (37 at latest count, according to Prime Database), the big audit firm that triggered such an exodus, is facing the whiplash of regulatory action around the world. On 13th June this year, PricewaterhouseCoopers (PwC) was fined £6.5 million and severely reprimanded for admitted misconduct, by the Financial Reporting Council (FRC), UK’s (United Kingdom’s) accounting regulator. PwC’s audit partner, Steven Denison, was fined £325,000 and was banned from audit work for 15 years. This was over the audit of BHS, a department store chain, which collapsed a year after the PwC signed off on the audit in 2016. PwC, on its website, accepts and apologises for “serious shortcomings with this audit work,” but says that its “failings did not contribute to the collapse of BHS over one year later…” The regulator has also asked PwC to ensure that all audits of non-listed or high-profile companies are subject to ‘engagement quality control review’. In India, auditor resignations are the newsmakers of the past month, with PwC in the lead role. It started with PwC’s resignation as auditor triggering a massive 90%+ collapse in the stock price of Vakrangee Ltd. This was quickly followed by reports of Deloitte Haskins quitting as auditors of Manpasand Beverages and Atlanta Limited. These, too, triggered a steep fall in their stocks, doesn’t matter what the official reason trotted out for auditors’ exit or management claims that there was no wrongdoing. According to Prime Database, over 37 auditors have resigned for 2017-18 (as against this, just seven resigned from assignments in 2017, says a media report). Most of these have happened before the finalisation of accounts. So why are auditors abandoning companies in such a hurry now? What is the trigger for their actions, when clients not providing adequate information didn’t worry them earlier? The media has attributed various reasons for auditors’ fear. But, to my mind, the single biggest factor to have frightened audit firms is tough action by the Securities and Exchange Board of India (SEBI) against PwC in the decade-old Satyam scam. On 10 January 2017, SEBI, in a surprise move, banned PwC and its entire network of entities from issuing audit certificates to any listed company in India for two years. It also ordered the disgorgement of over Rs13 crore as wrongful gains from PwC as well as two former partners – S Gopalakrishnan and Srinivas Talluri (they were together ordered pay Rs13.09 crore with 12% interest calculated from January 2009, within 45 days). Although SEBI was clear that its order would not impact the audit assignments for 2017-18, this has shaken up the company and the industry in a big way. Until this order, PwC had paid bigger penalties abroad and also paid Satyam investors in the US, but has paid no significant penalty in India. PwC, as expected, has contested the order and its global chairman, Robert E Moritz, has complained to the media about our slow legal processes, and how the firm has moved on after the Satyam scam and made amends. But, it is in for another long battle, while the damage to its business is immediate. The SEBI action has been a body blow, because it has come at a time when all major consulting firms have seen their business boom in the past four years. The impact of SEBI’s order is so huge that industry sources say some senior partners are looking to exit the firm. No wonder, getting rid of shady accounts is clearly the first step, for PwC as well as other accounting firms. The lesson from this widespread reaction to SEBI’s action is not unique. It is a well-accepted principle of law that exemplary financial punishment has a salutary impact on the entire system. The effect of SEBI’s action across corporate India only proves this. On the other hand, reputational damage doesn’t bother large companies as much. They have become adept at countering it through image and media management. Their large advertising and PR budgets and ability to sponsor media events makes this a cakewalk. If SEBI sticks to its tough stand, chairman Ajay Tyagi would have triggered the biggest clean-up of corporate balance sheets in decades. If he succeeds in his fight to get banks to report corporate defaults immediately to stock exchanges, he would create history in terms of improving corporate governance and accounts. Ironically, the ministry of corporate affairs (MCA) has, finally, woken up to its own role in regulating audit firms and has constituted an inquiry into the reasons for the flood of resignations in June. Meanwhile, media reports attribute the exits of auditors to three other factors apart from the SEBI’s order against PwC. They are: 1) the possibility of forensic audits being ordered under the Insolvency and Bankruptcy Code; 2) auditors having to explain exits following recommendations of the Kotak Committee on Corporate Governance; and 3) the fear that the National Financial Authority of India (NFAI), as a brand new independent auditor, will be much tougher than the Institute of Chartered Accountants of India (ICAI). But these reasons are too vague to even trigger a renunciation of business by any audit firm. My own feedback from industry experts is that the SEBI order against PwC is the single biggest reason for the so many auditors ditching companies that they are not comfortable with. Ameet Patel, a well-known chartered accountant, points out that many audits were taken up without proper due diligence and the companies have now started waking up to the risks involved. 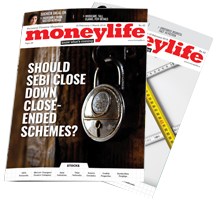 R Balakrishnan, former fund manager, investment analyst and Moneylife columnist, also agrees that fear is the key. “Finally there is punishment. Auditors who were friends with companies and signed first and read the accounts later have turned cautions,” he says. Nikhil Vadia, another reputed tax expert, has an additional point. He says, “Rule 9 of the Companies Audit and Auditors Rules 2014 has been dropped on 7 May 2018. Under this rule, the liability for an audit (including criminal liability) would devolve only on the specific partner who acted in a fraudulent manner. After the rule has been dropped, the liability devolves on the entire firm and all partners are liable.” This, along with the SEBI action in PwC, had triggered the auditor exits. Price Waterhouse & Company (PwC) resigned from Vakrangee Limited citing inadequate information on several matters provided by management. Patankar & Associates quit as auditors of Inox Wind on 9 June saying it was ‘logistically difficult’ to continue the audit. A top international consultant says, after SEBI’s action, most big audit firms have begun to believe that it is best to resign even if there is a whiff of an issue with a company. He also points out how this is bad for companies because if the auditor resigns they are “presumed guilty and have to prove their innocence.” In fact, there is another lesson here. SEBI’s order in the PwC-Satyam case has had a bigger impact than all the mindless red-tape and form-filling that it has introduced after three corporate governance committee reports that it commissioned over the past two decades. In fact, SEBI’s corporate governance rules have placed such onerous responsibilities on independent directors and audit committees (although it is a open secret that they have no real truck with the actual working and management of a company) that it has only created more business for more audit and compliance experts that the board relies on. This imposes additional costs on listed companies. Finally, there is the issue of timing. A new round of discussions on corporate governance, action against PwC in India and UK, and the changed regulatory oversight on Indian auditors -- all have come in the space of a few months, leading to a significant impact. It could well be the beginning of a much-needed strong oversight on companies that statutory auditors get paid to perform on behalf of shareholders, but have rarely done. Excellent piece. I agree with your viewpoints and believe that this may be the beginning of the end of shady accounting practices and hand in glove auditors. PwC’s is a serial in auditing offender .In 2008/9 audit of Sathyam Computers resulted in the compny going bankcrupt due to broke poor quality of auditing .Similarly in 2014 the PwC conducted the in BHS a UK basesd Company having Chain of stores acollapsed. It admitted its mistake and said"We are sorry that our work fell well below the professional standards expected of us and that we demand of ourselves," the company said.Why not delist for ever? What about Auditors of Cooperative Societies? I lodged a complaint of professional misconduct against with Disciplinary Committee of ICAI two years ago but even investigation has not started. The Registrar of Coop. Societies has not taken any action even though this was brought to his notice. Most cases against CAs for Cooperative housing societies audits are to settle internal ego and disputes among members than any substance. Better late than never. After that long delay, Disciplinary Body has found prima facie evidence and has decided to investigate. These are only the big ones! There are things happening where small business people cannot do anything in similar circumstances!! Even after complaining / informing the ROC, Mumbai? Market regulator Securities and Exchange Board of India (SEBI) has set up an Expert Committee for listing of shares of companies incorporated in India on foreign exchanges and foreign listed companies on domestic bourses. At present, direct listing of equities of Indian companies is not permitted on foreign exchanges and vice versa. The Committee will examine in detail the economic case for permitting direct listing, various legal, operational and regulatory constraints in facilitating companies both Indian and foreign. The Committee will also recommend a suitable framework to facilitate such direct listing. Companies incorporated in India can today list their debt securities on international exchanges (Masala Bonds) but their equity share capital can be listed abroad only through American Depository Receipts (ADR) or Global Depositary Receipt (GDR) route. Similarly, companies incorporated outside India can access the Indian capital markets only through the International Depository Receipt (IDR) route. "Considering the evolution and internationalisation of the Capital Markets, it would be worthwhile to consider facilitating companies incorporated in India to directly list their equity share capital abroad and vice versa. In this regard, it has been decided to constitute an Expert Committee to look into this aspect in detail," SEBI says in a release. There are nine members in the Committee. This includes, Ranu Vohra (Co-founder, Managing Director & CEO; Avendus Capital Pvt Ltd), Cyril S Shroff (Managing Partner, Amarchand Mangaldas), Kamal Yadav (Managing Director, Morgan Stanley's Technology, Media and Telecom Banking), S Ramesh (Managing Director & CEO, Kotak Investment Banking), Neeraj Bhargava (Senior Managing Director & CEO, Zodius Capital Advisors), Deep Kalra (Chairman & Group CEO, MakeMyTrip.com), Rajiv Gupta (Partner, Singapore Latham & Watkins LLP), Jamil Khatri (Global Head of Accounting Advisory Services, KPMG LLP) and Sujit Prasad (Executive Director, SEBI and Convener). Separately, the market regulator has constituted a group to look into the existing Institutional Trading Platform (ITP) framework and suggest measures to facilitate listing of startups. The Group will primarily review need for present ITP framework in the current context, revisit the current ITP framework and identify the areas, if any, which require further changes. The Group will submit its report to SEBI in one month. Earlier in 2015, SEBI had put in place the ITP framework to facilitate listing of new age companies in sectors like e-commerce, data analytics, bio-technology and other startups. However, this framework had so far failed to gain any traction. Indian equity and debt markets attracted over 1,320 new Foreign Portfolio Investors (FPIs) in 2017-18, market watchdog Sebi said on Monday. According to data furnished by the Securities and Exchange Board of India (Sebi), the total number of FPIs in 2017-18 increased to 9,136 from 7,807 in 2016-17. In terms of financial instruments, FPIs have invested Rs 25,635 crore in the equity segment and Rs 119,036 in the debt category during 2017-18. 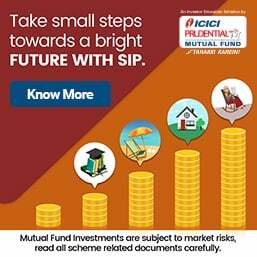 As per SEBI Bulletin - April 2018: "In March 2018, FPIs invested Rs 2,661 crore in the Indian securities market, out of which Rs 11,654 crore invested in equity and Rs 51 crore was in hybrid securities. On the other hand, FPIs liquidated Rs 9,044 crore in debt."